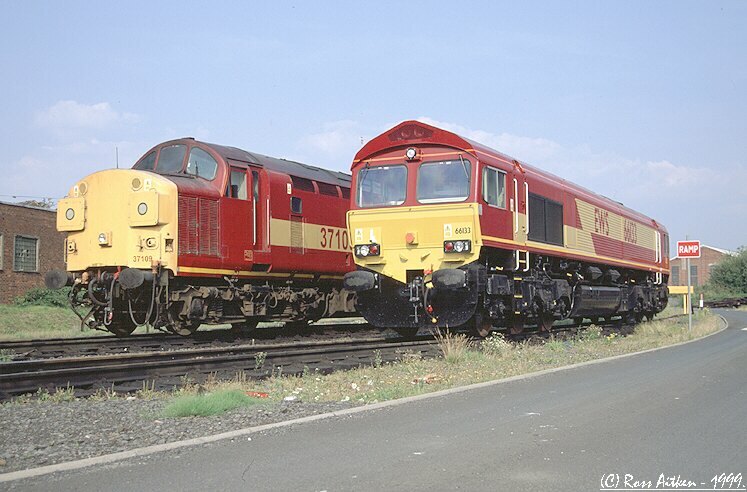 66133 stands next to 37109 at Ayr T&RSMD on saturday 31st July 1999. 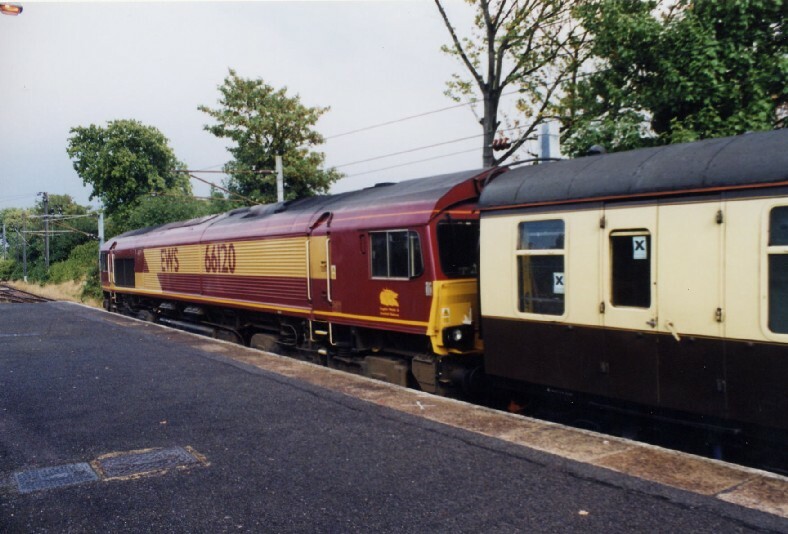 66133 stands at Ayr T&RSMD on saturday 31st July 1999. 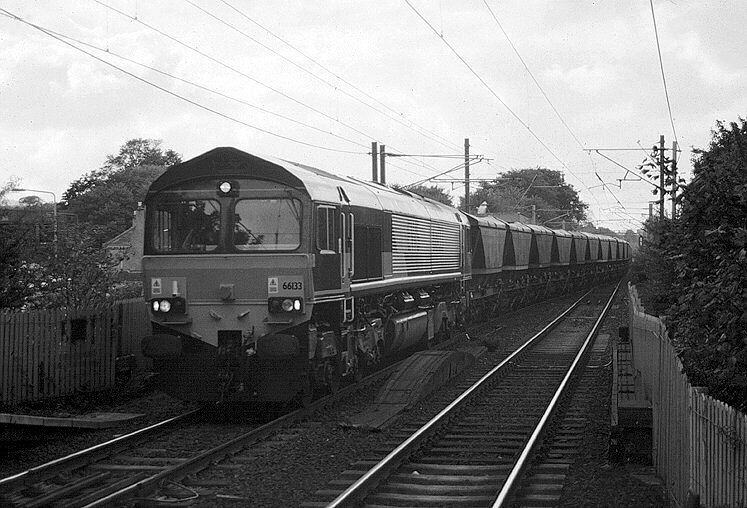 66041 passes through Slateford, Edinburgh with the 7B54, 11:10 Ravenstruther - Millerhill loaded coal train on Tuesday 21st September 1999. 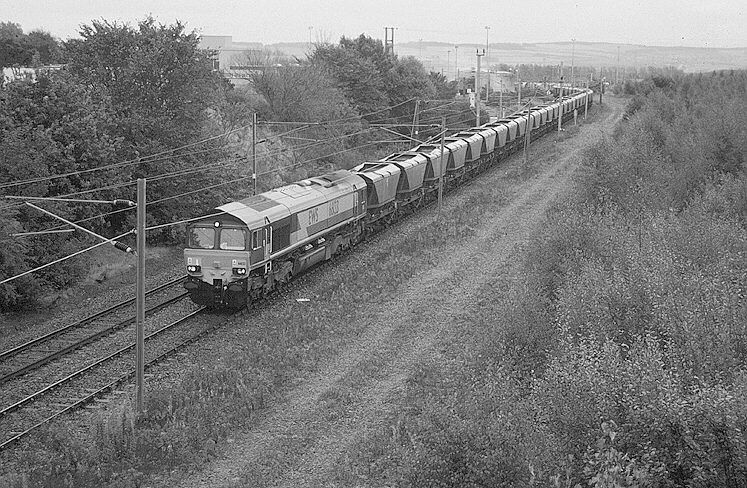 66133 passes Millerhill, Edinburgh with an unidentified southbound loaded coal train on Thursday 23rd September 1999. 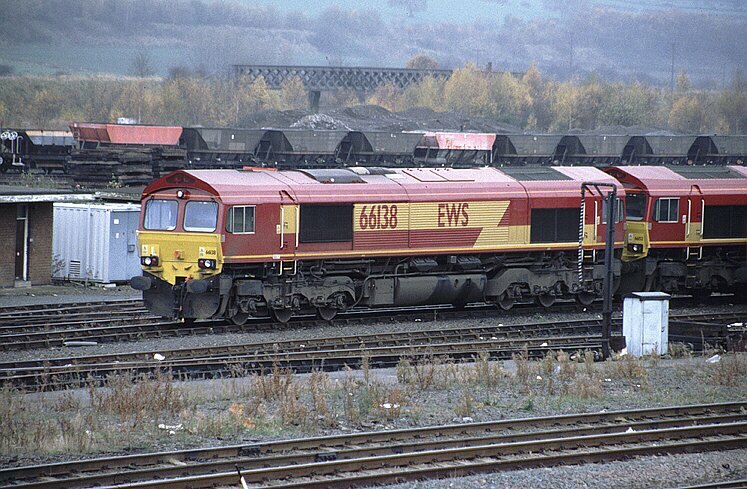 66138 stands at Healey Mills depot on Sunday 14th November 1999 @ 13:25. 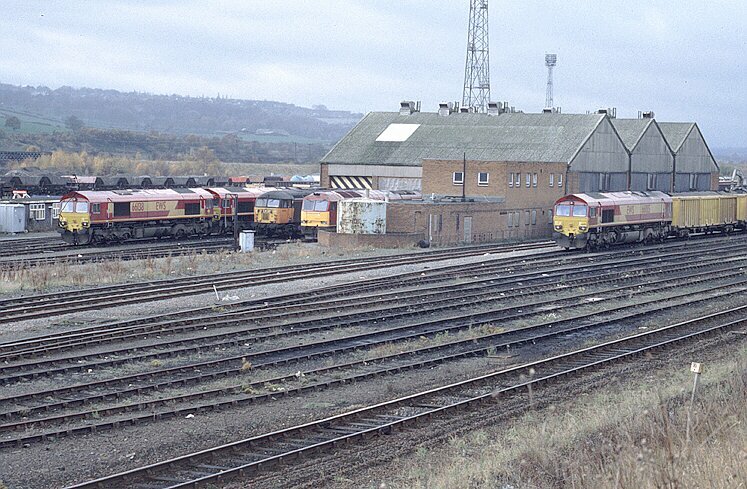 66138 (far left) stands 'on shed' at Healey Mills in the company of 66152, 56110 & 60022 on Sunday 14th November 1999 @ 13:27. 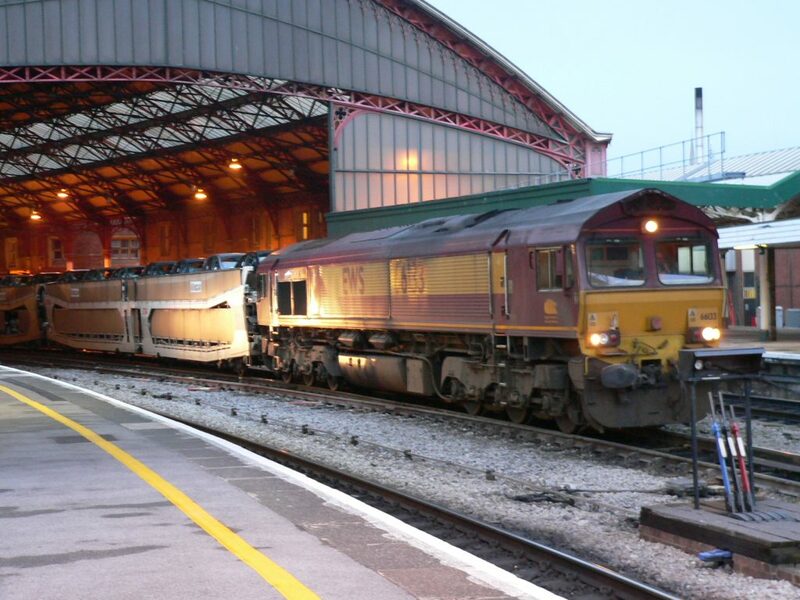 To the right is 66085 stabled on a container train. 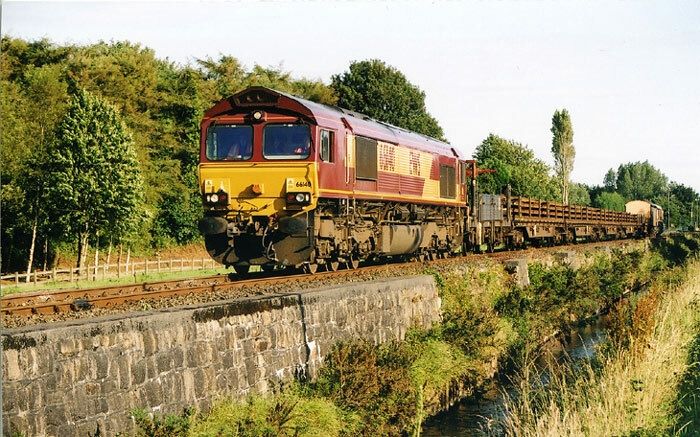 66140 passes through the South Lanarkshire countryside at Auchengray withthe 7B54 Ravenstruther - Millerhill loaded coal train on Tuesday 14th September 1999 at 13:00. 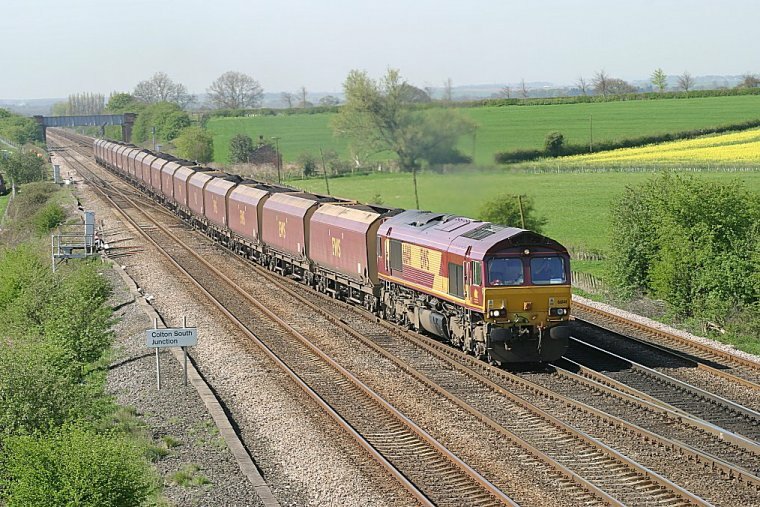 66140 with 66066 dead on the rear takes a welded rail train out of St Blazey towards engineering work in the Luxilyan Valley. 11 July 2004. 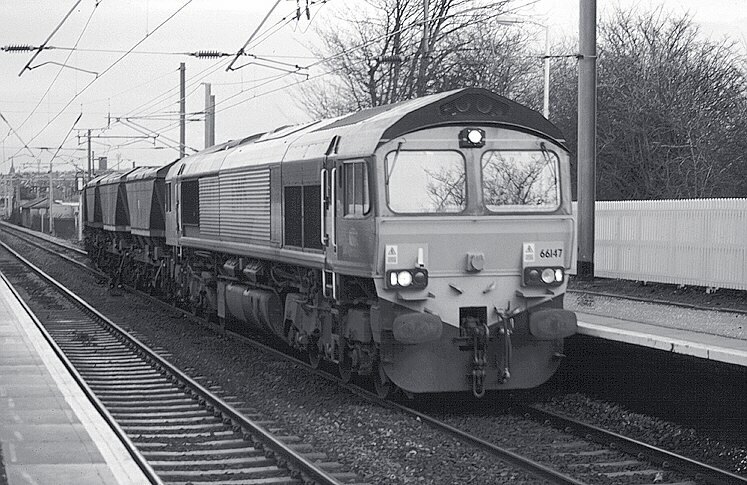 66147 passes through Slateford station in Edinburgh with the 6S35 Tyne Yard - Mossend M.G.R (coal) empties on Monday 10th January 2000 @ 12:52. 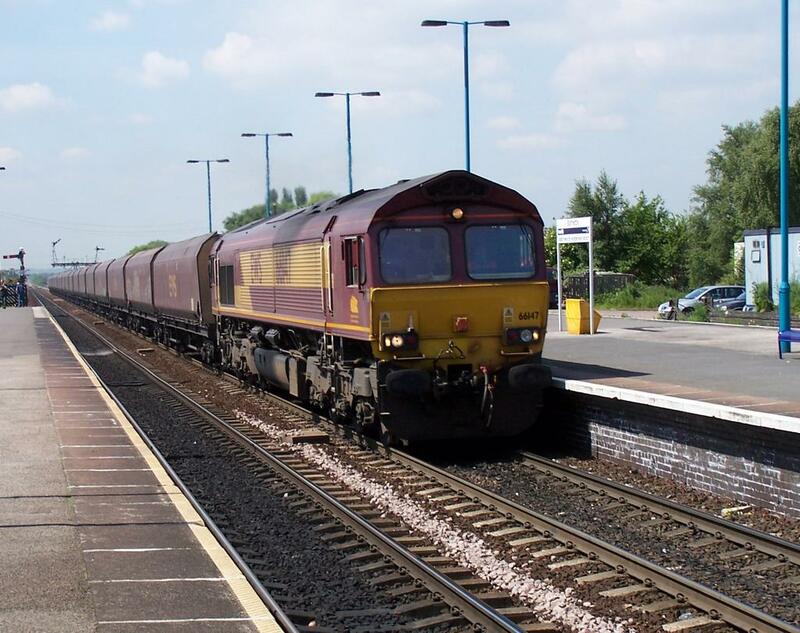 EWS 66147 passing through Barnetby station on 07/08/05. 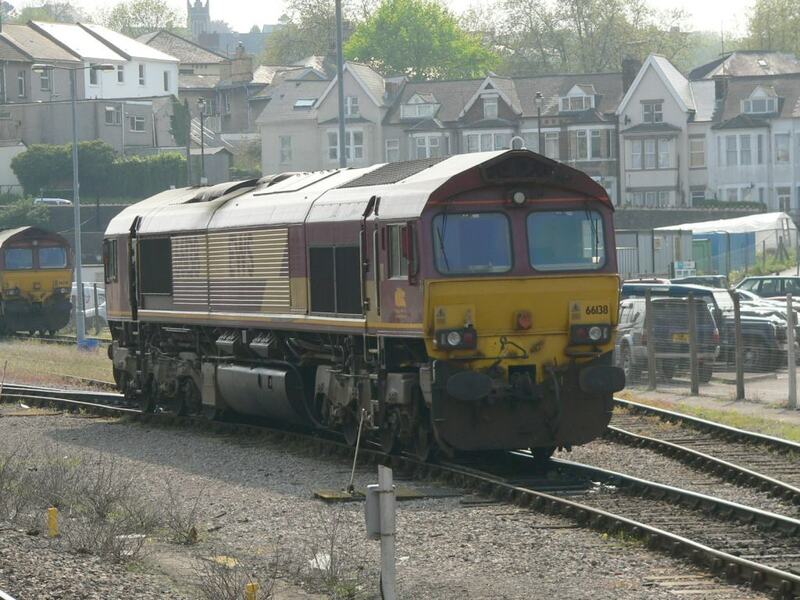 EWS Class 66 diesel locomotive 66038 at the western end of Newport (South Wales) railway station. 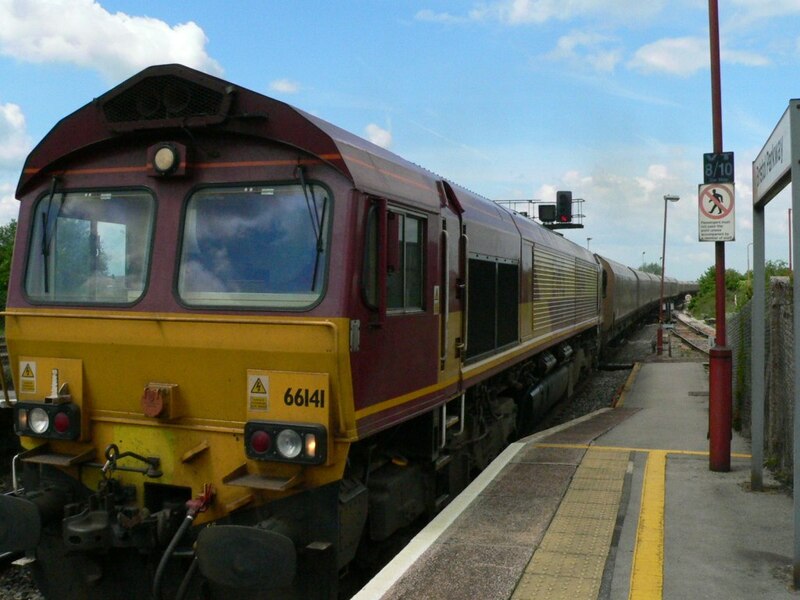 In the background is another EWS Class 66 - 66236. 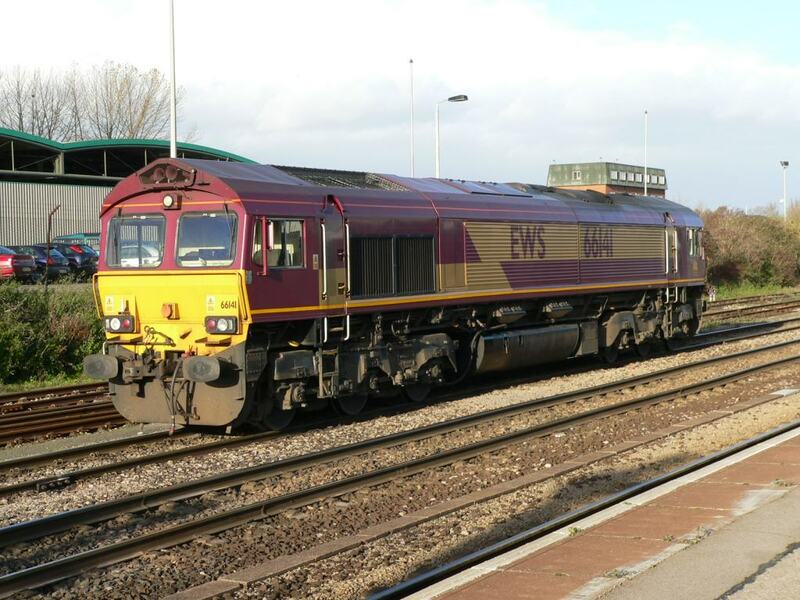 EWS Class 66 diesel locomotive 66141 heads westbound through Bristol Parkway railway station. Photo by Chris McKenna 31/05/2006. 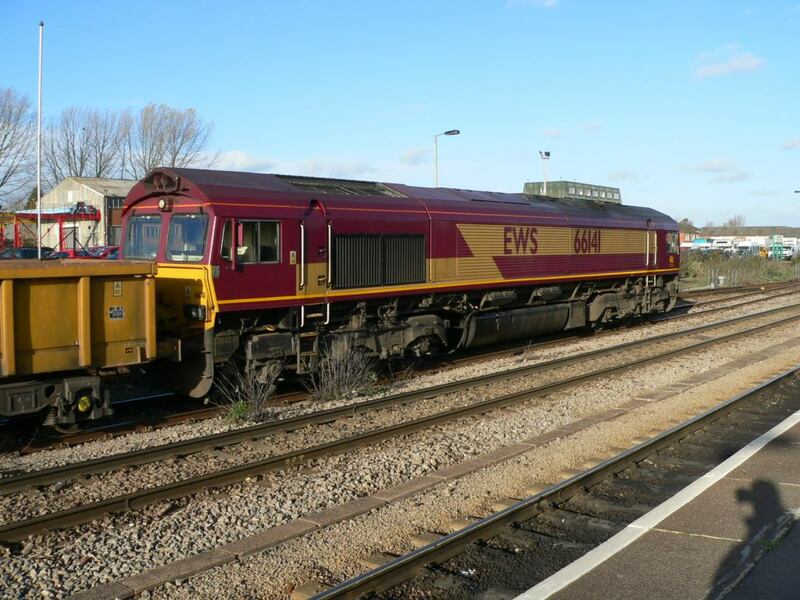 A merged view of EWS Class 66 diesel locomotive 66141 engaged on shunting duties at Westbury station in Wiltshire. 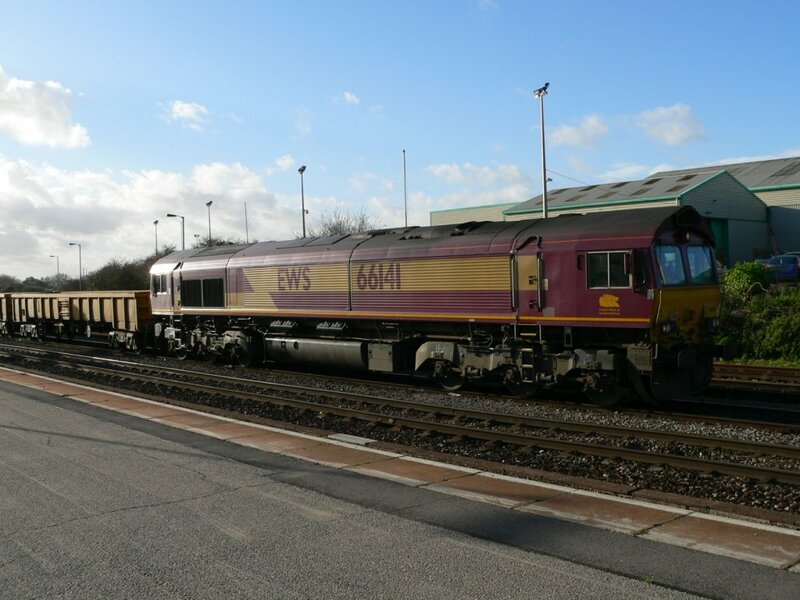 A merged view of EWS Class 66 diesel locomotive 66141 stabled adjacent to Westbury station in Wiltshire after a period on shunting duties. 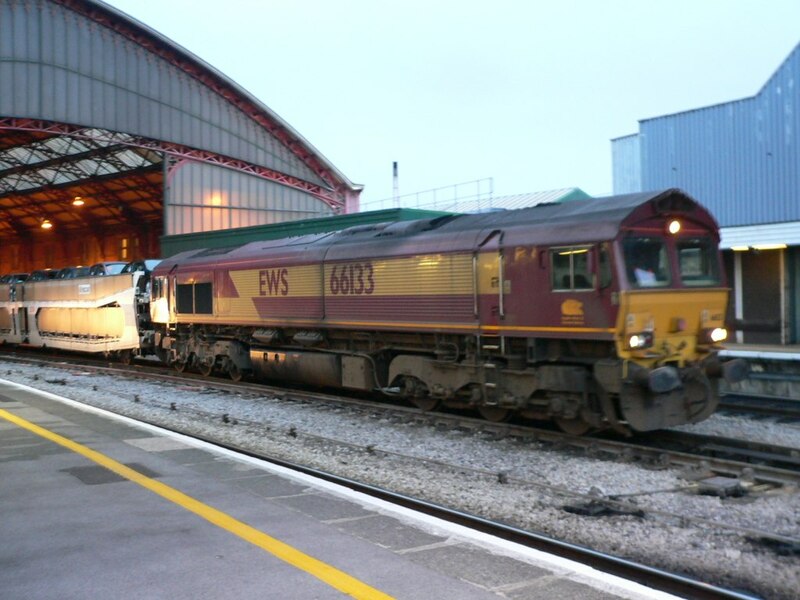 EWS Class 66 locomotive 66133 hauls a rake of double-decker car transporting wagons through Bristol Temple Meads. 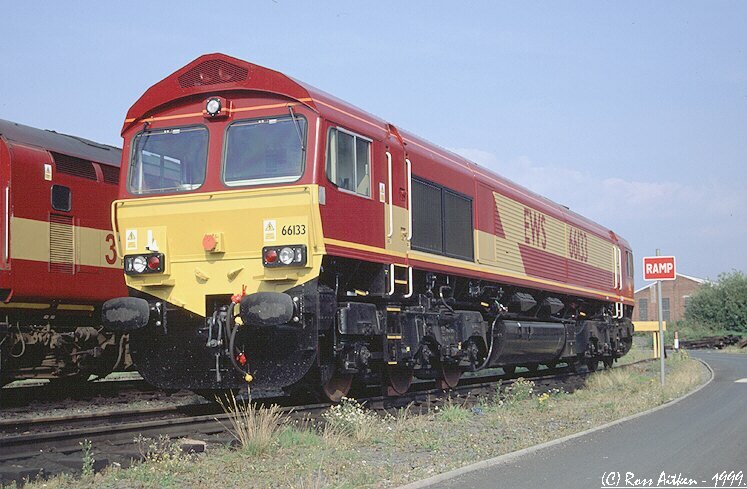 EWS 66 seen heading north at Colton Junction, late April 2004. 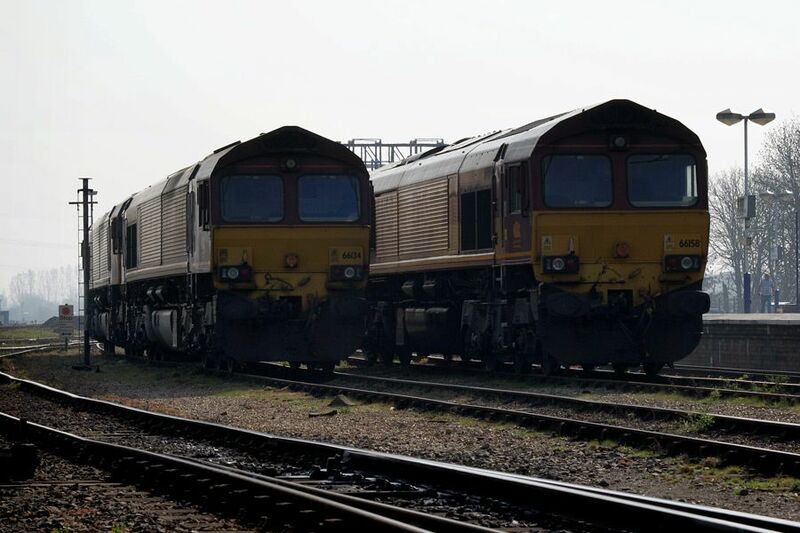 Class 58s have regretably long disappeared from the scene in Britain but many continue to be active abroad. 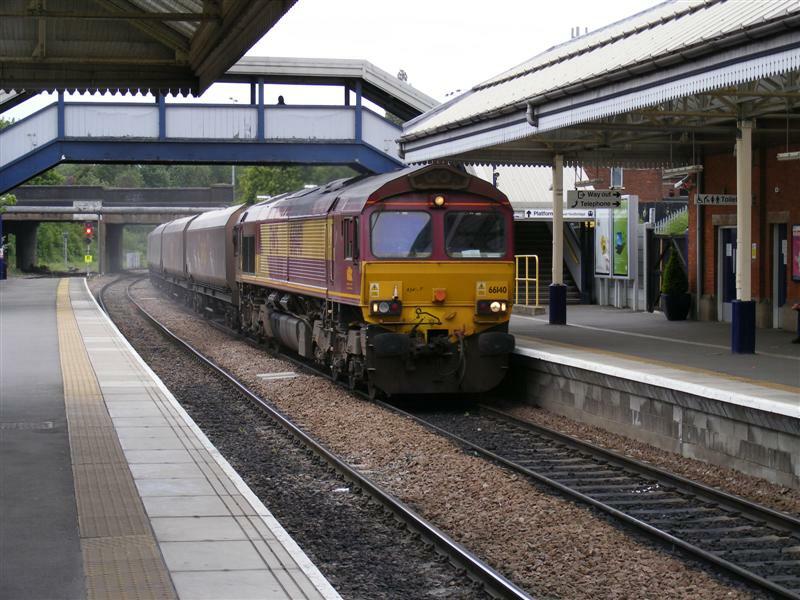 Here we see 66145 with 58036 intow on an Eastleigh to Wembley working on September 10th 2009. 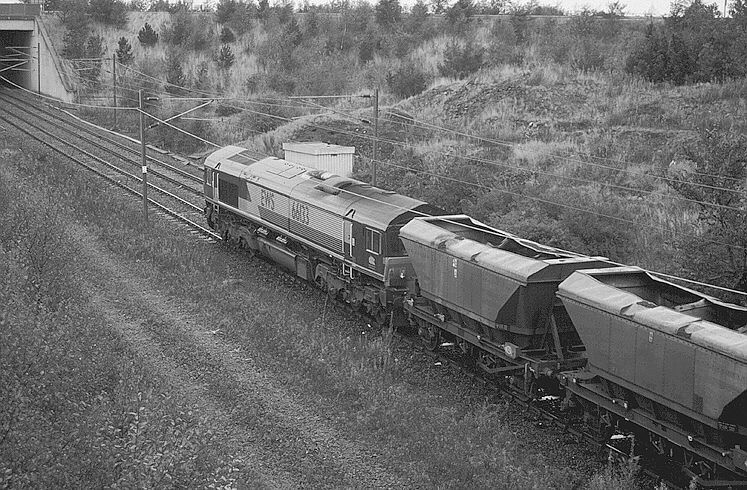 The 'Bone' or class 58 was heading to France for work on the construction of yet another high speed line. 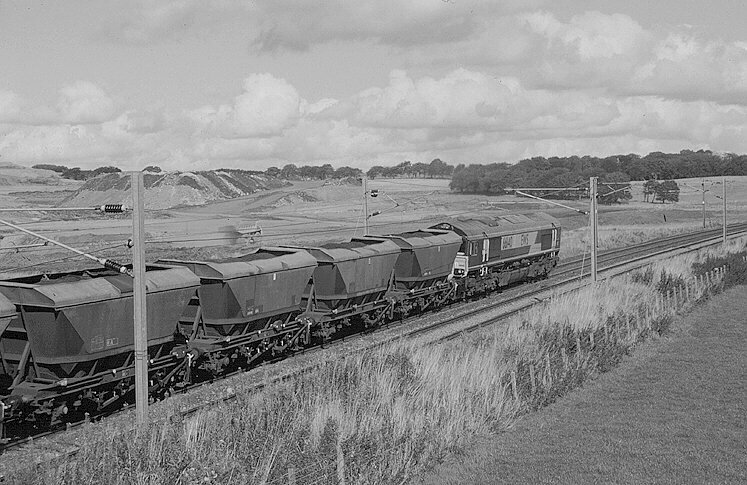 Quite when Britains next high speed line or HS2 will appear though is anybodies guess! 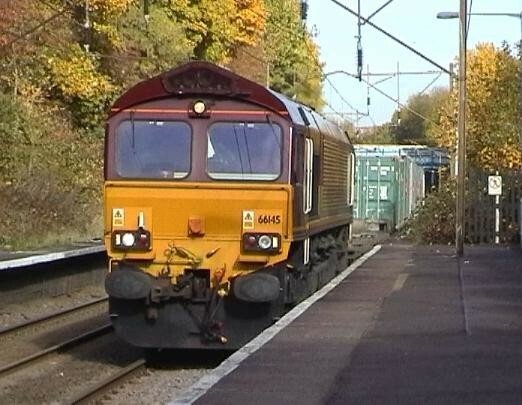 Bringing up the rear as 40145 takes its train into Bounds Green Depot is 66120. The place is Bowes Park and the date is 6th September 2003. 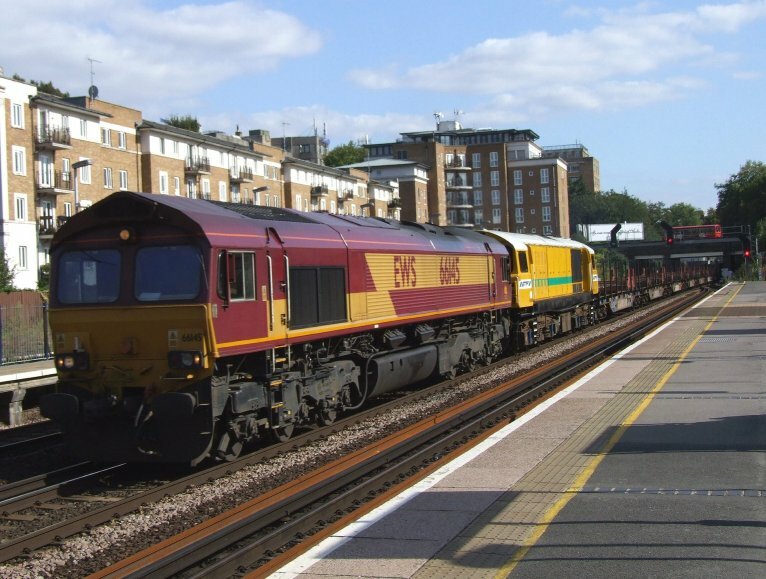 EWS 66145 is seen entering Palmers Green Station N.London on what appears to be an Enterprise service on the 30th October 2003.